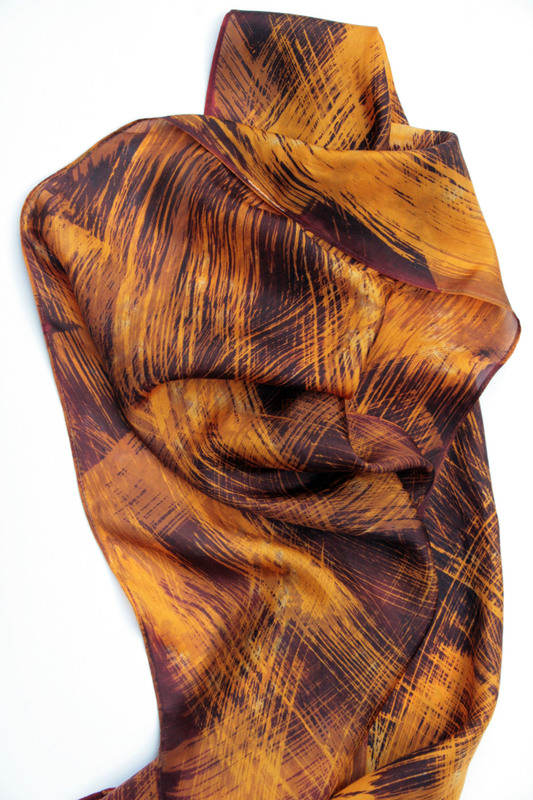 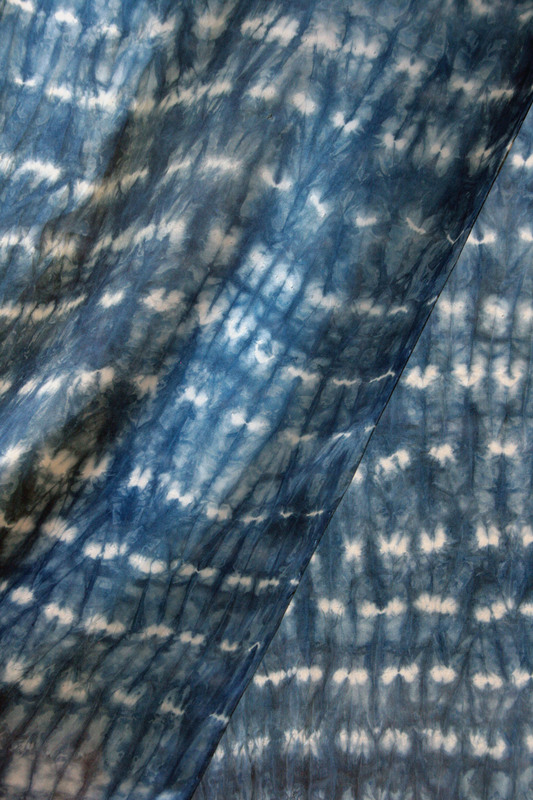 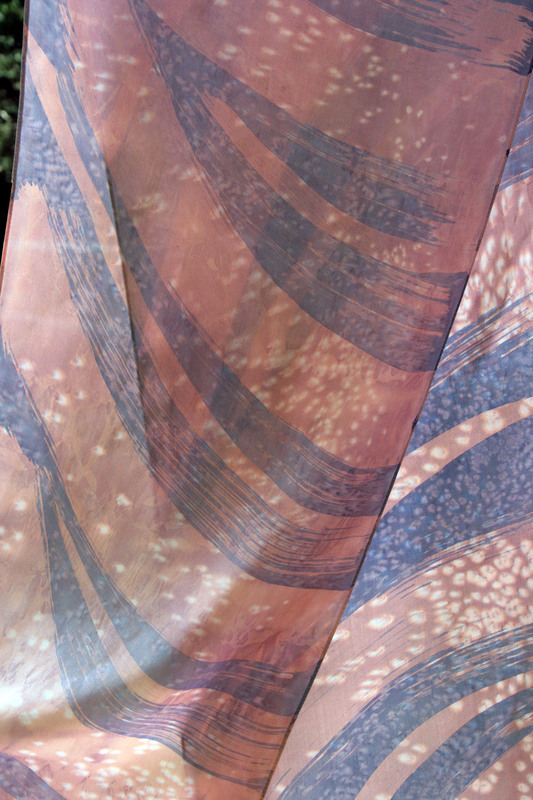 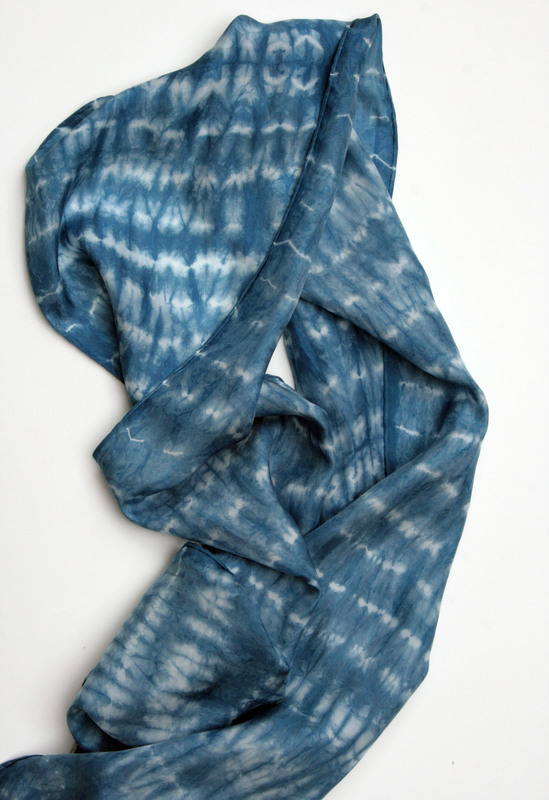 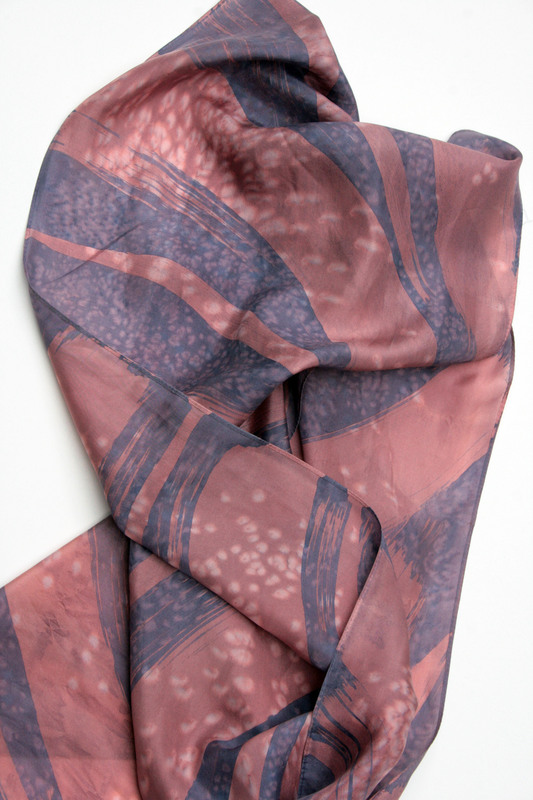 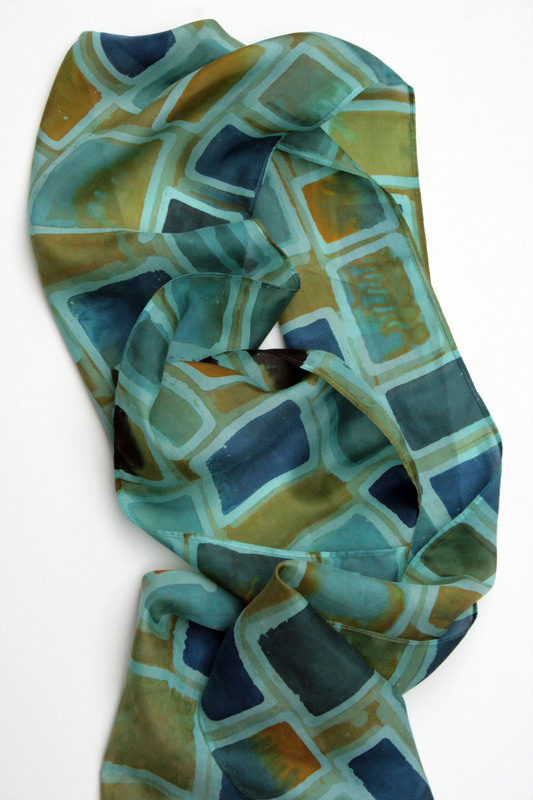 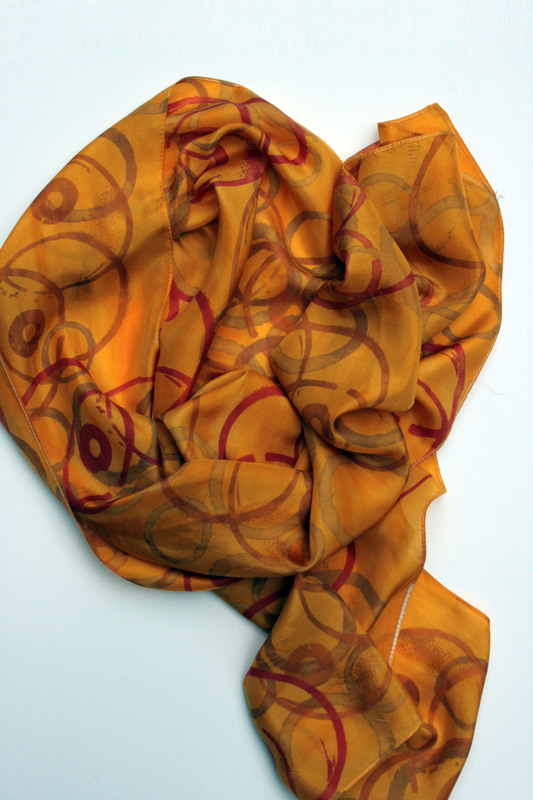 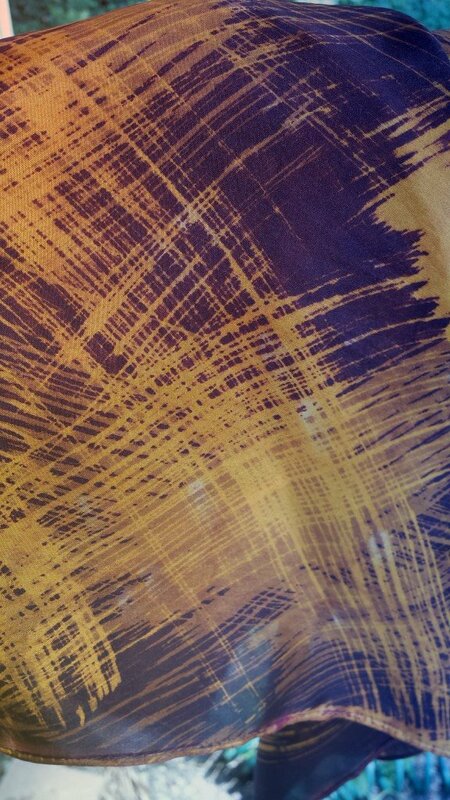 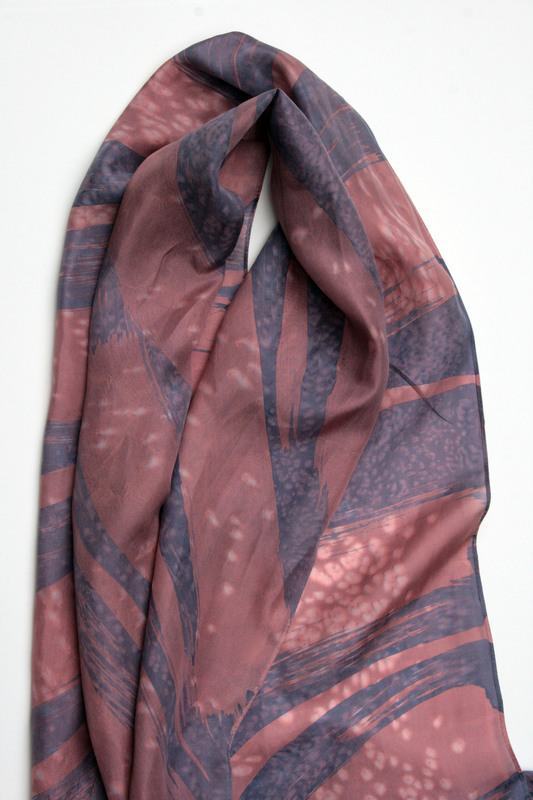 I create one-of-a-kind hand-dyed batik scarves and fabrics. 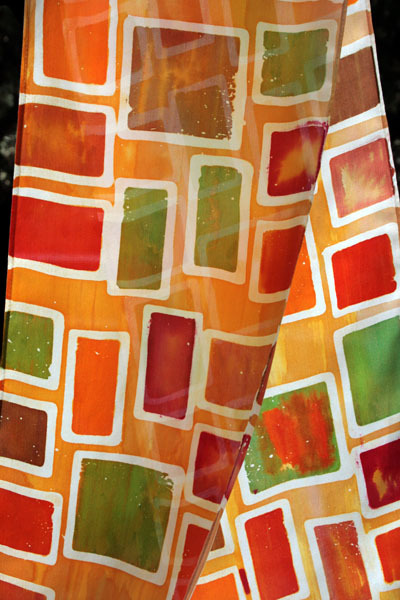 Batik is an ancient technique of using wax (or other substance) to resist subsequent applications/layers of dye. 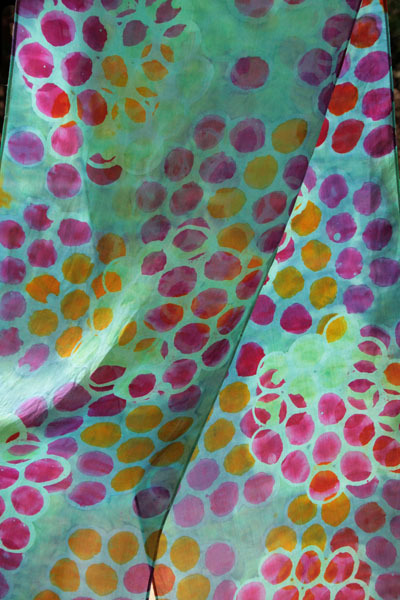 Using low-impact fiber-reactive dyes, beeswax and soy wax on natural fibers, along with hand-drawing or stamping with found objects, I create colorful, layered patterns. 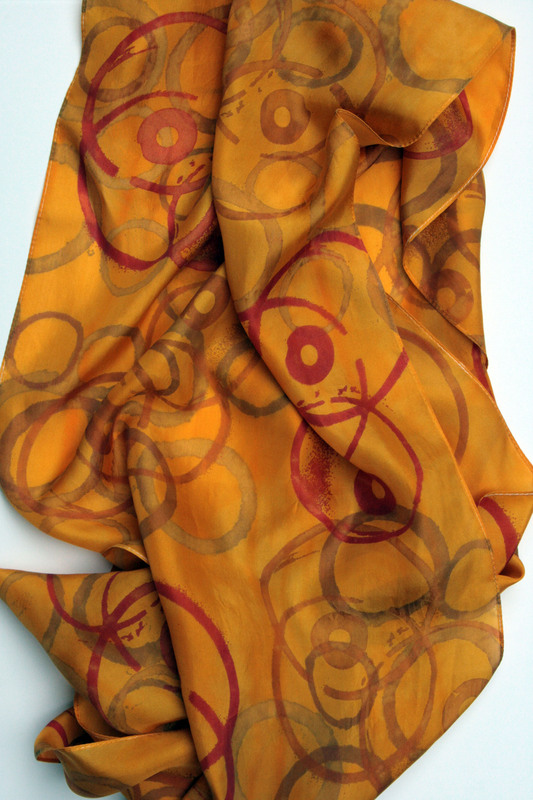 Some of the found objects include kitchen gadgets, tin cans, leftover cardboard, and even engine gears! 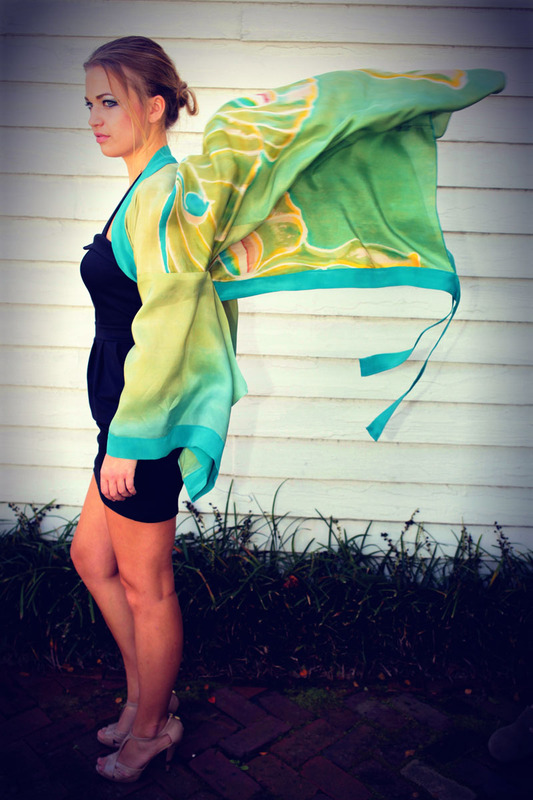 I received a BFA in Surface Design from East Carolina School of Art. 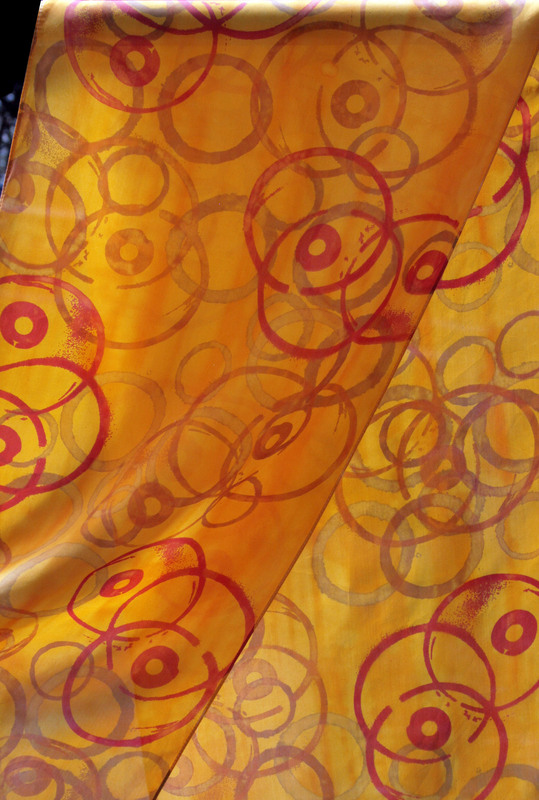 I’ve had a very diverse working career…from two of the top worldwide upholstery design companies to a top video game developer. 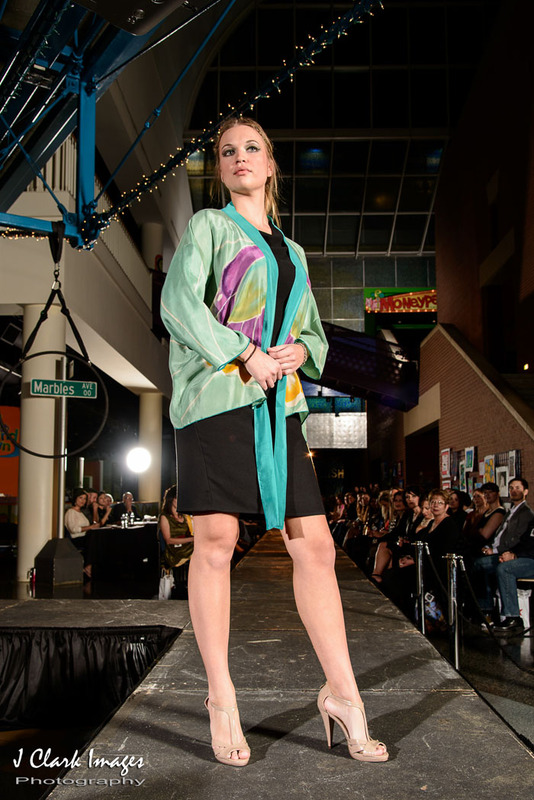 In April, I developed a line of clothing for the first time ever! 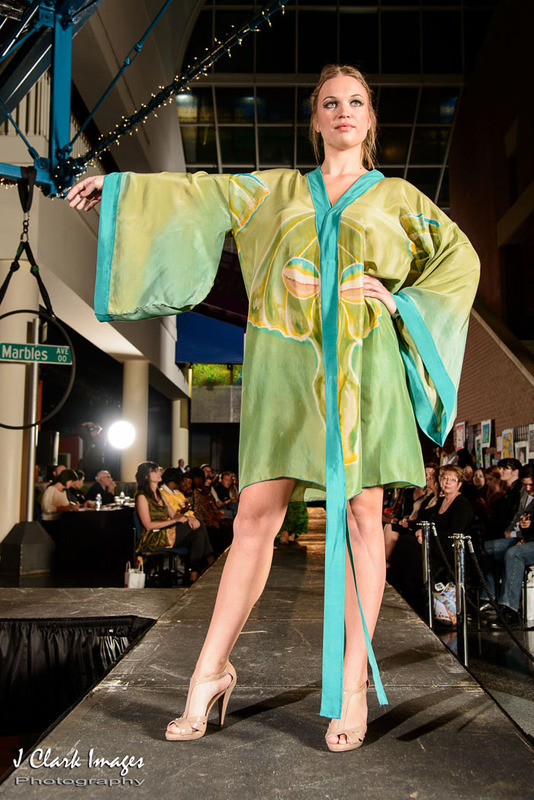 It was for Redress Raleigh Eco-Fashion Show 2012. 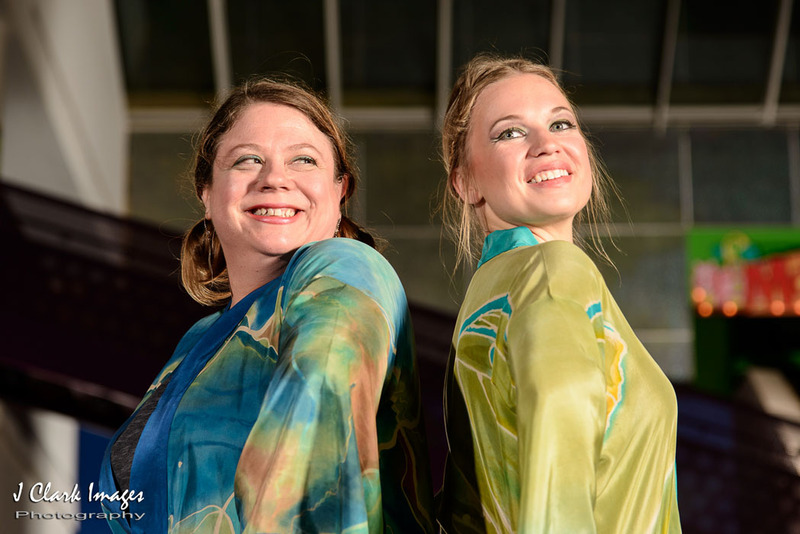 I did it all from creating the fabric, making the clothing patterns, then fitted and sewed them all, too!! 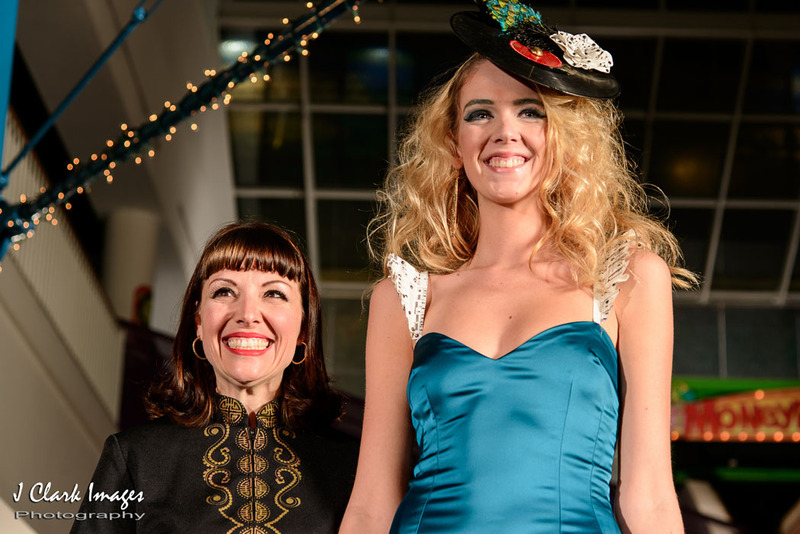 It was an incredibly fun and rewarding experience!! 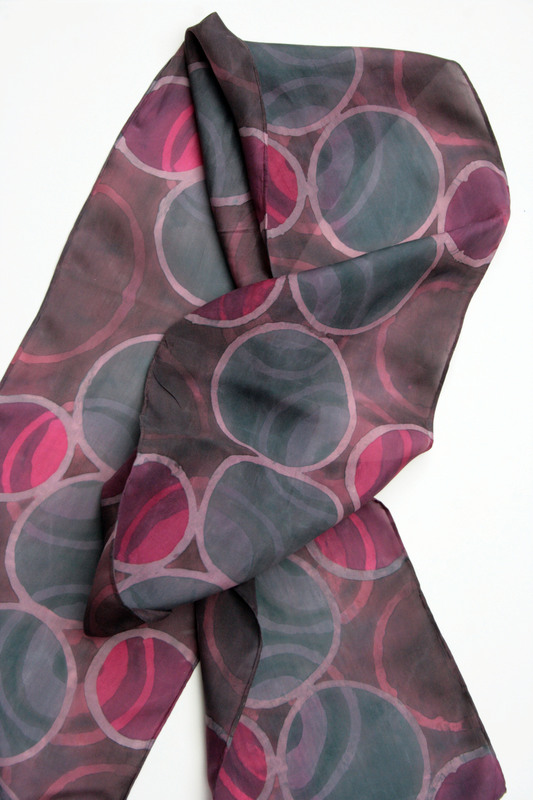 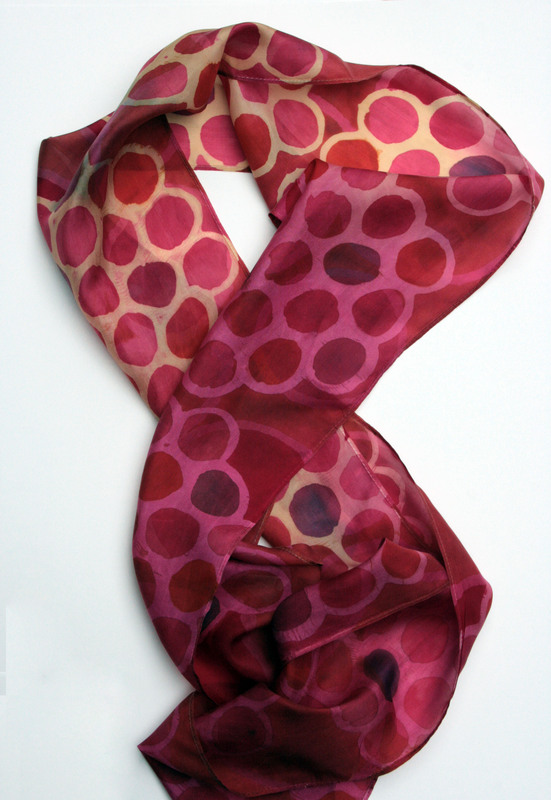 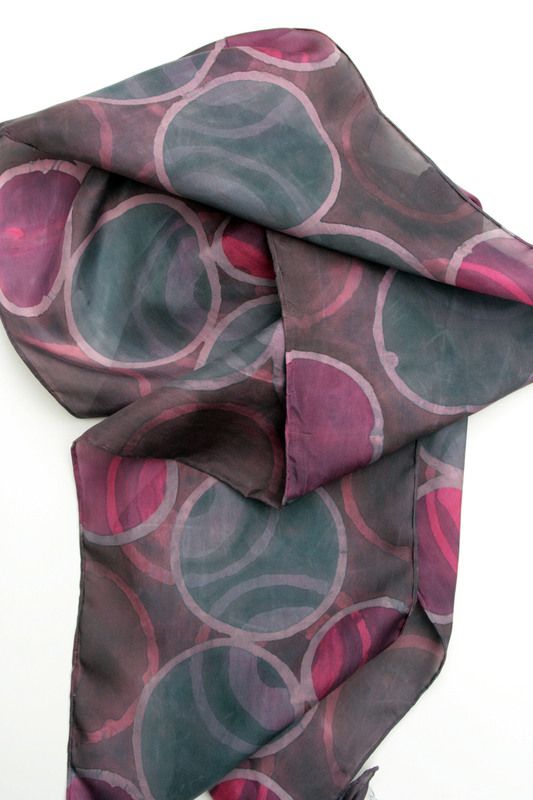 I enjoy making silk scarves and yardage in my home studio in Raleigh, North Carolina.